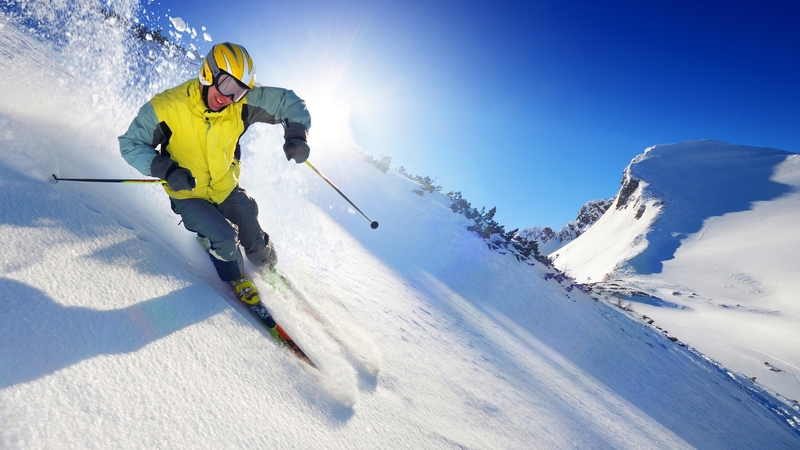 Skiing is an adventurous winter sport and originated as a means of transport in cold countries, where it was used for moving from one place to another. It is a winter sport in which the skiers and adventure lovers use skis to float on snow and live their passion with fun. Norway became the place where skiing appeared as a modern sport. Since then different variations of skiing have been made-up in the winter sports world. Skiing is very useful in covering distance downhill in a short period of time. Earlier, during ancient times, it was made from wood and used as runners to move at high speed on deep snow. In the 17th century skiing was also used and involved in military purposes. It gained so much popularity during the nineteenth century among the adventure sports lovers all over the world. After gaining this much popularity invention of advanced ski accessories like skis, skis binding, skis boots and ski poles has taken place. It is popularly known as downhill skiing and considered as a form of sports activity. In this type of skiing, skiers glide down the snow-covered hills. Its origin is cross-country skiing, which is also a most popular skiing all over the world. alpine skiing is also famous in Europe and USA. Such skiing is practiced in untamed and uninhabited area where the land and snow pack is not monitored are the perfect place for back-country skiing. In different part of the world it is popular by different names like in North America Back-country skiing while in Europe it is named as Ski-Touring. It is most adventurous and extremely dangerous skiing activity, it is practiced and performed on long and steep slopes. The terrain where it is carried out, is also dangerous. Free skiing term is used when it is not thought by the professionals and was performed for fun and entertainment. You can keep yourself busy in practicing skiing during summers too. The sport suits young as well as adults. Skiers can enjoy the beauty of nature and serene mountains. It also gives you an opportunity to have adventures on snowy hills after the sunset. Including these all skiing skijoring, ski jumping, ski mountaineering, snowboarding and more are the types of skiing famous all across the world.